With 1:1 computing initiatives occuring in school districts across the country, never before have students had such universal access to information. Pedagogical innovations like "blended learning" and "flipped instruction" are changing the way teachers and students interact and learn. Even schools are becoming virtual -- without physical buildings or classrooms. At the same time, millions of students cannot benefit fully from these innovations because they struggle with reading. Our national challenge is to close the gap for struggling readers at all levels, especially among those with disabilities. With each new grade level, literacy demands increase substantially -- texts become longer, sentence complexity increases, and content vocabulary begins to expand exponentially. For students with disabilities, these challenges are especially daunting. In 2013, the National Assessment of Educational Progress (NAEP) reported that 91 percent of eighth-grade learners with disabilities performed at or below the basic reading level, with 60 percent performing below basic. Furthermore, students with learning disabilities read 3.4 grade levels below peers who are free of disabilities. By middle school, academic outcomes in multiple content areas are inexorably dependent upon students' ability to independently learn from text and express what they know through text. Fortunately, help is on the way. In an attempt to exploit technology that can help struggling readers, the U.S. Department of Education's Office of Special Programs (OSEP) funded the Center on Emergent Technology, Disability and Middle School Reading. The goal of this Center is to leverage emergent technology in the service of reading comprehension, skill development and improved motivation for reading, so that whenever students are reading they will be able to practice and grow their skills through "just-right" reading challenges. 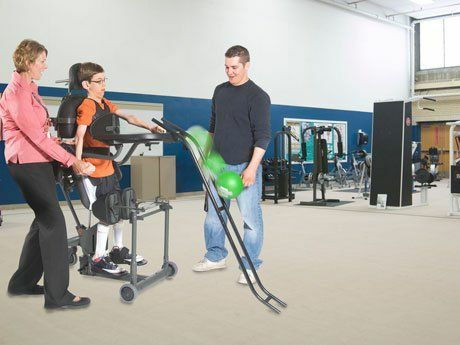 The Center, led by the Center for Applied Special Technology (CAST) in collaboration with Vanderbilt University, represents a large system of partnerships designed to leverage and connect the most current knowledge from the learning sciences about reading development in students with disabilities, best practices within education, and innovation at the leading edge of education technology. Foster a passionate interest and investment in reading for students who have traditionally been uninterested in, or disenfranchised by, traditional classroom literacy practices. Substantially improve the reading comprehension skills of middle school students who have experienced recurrent failure in the domain of reading. 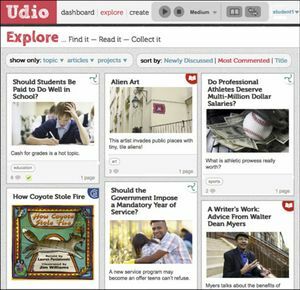 Udio is a dynamic web of authentic, current and widely distributed Universal Design for Learning (UDL) reading environments. I believe that Udio will have a profound impact on millions of students with learning disabilities. All students will be allowed to use the tool. But most importantly, struggling readers will soon have access to many materials that are "tuned" to their specific strengths and weaknesses, effectively turning the web into a place where anyone can learn to comprehend text effectively. Stay tuned for more information about Udio by visiting www.cast.org.